This is music to every new parents’ ears! 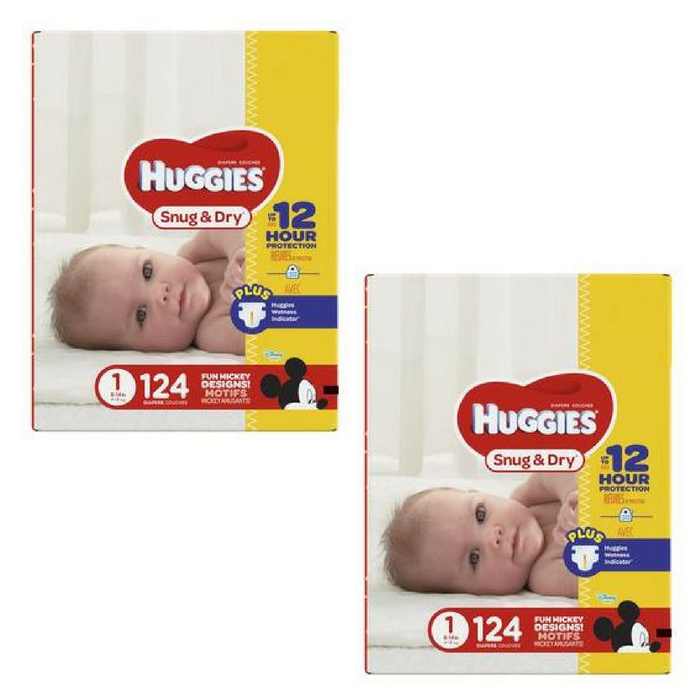 Grab this FREE Huggies Diapers for new TopCashBack members! No more sleepless nights with these diapers! They are available in lots of sizes too for your baby’s comfort. Spend at least $7.97 or more via the custom TopCashBack page and get $10.00 in cash back! Add the Huggies Diapers for $7.97 or more to your cart from Walmart and head to checkout. You must spend at least $7.97 to get this deal. Pay $7.97 or more. That’s it! The $10.00 will post to your TopCashback account within 14 days, and the amount will become payable within 14 days. Cash back can be credited straight to your checking or PayPal account. Note: Transactions must contain at least $7.97 worth of purchases to ensure the $10.00 cash back is credited to TopCashback accounts. Transactions may initially track lower, but within the 14 days after purchase it will be uplifted and turn payable at the amount of $10.00. Transactions may take up to 7 days to appear in your TopCashback account. The deal is open until 11:59pm PST on 6/10/2018 or until supplies run out; whichever happens first; applicable for purchases made directly after clicking through TopCashback. Only one TopCashback account is permitted per member. 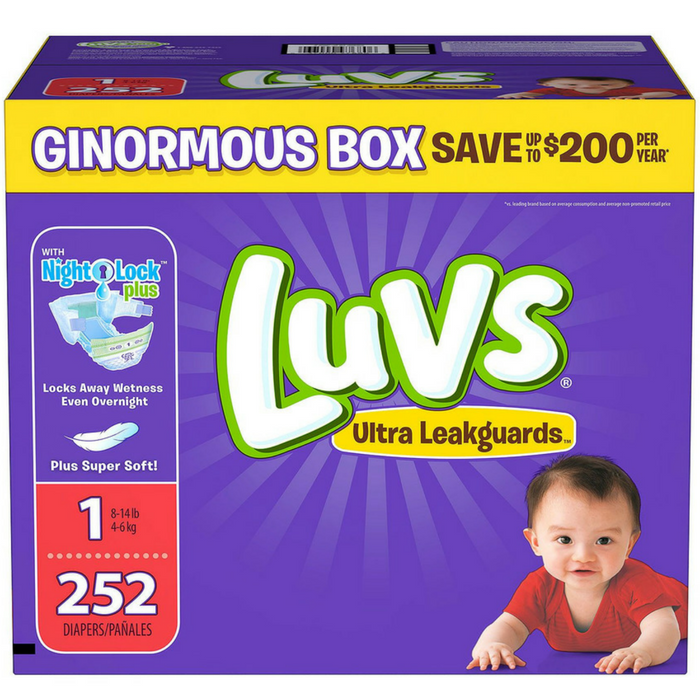 Luvs Diapers Ginormous Boxes Just $19.98! PLUS FREE Shipping! Until January 4 or while supplies last! Hurry over to Sam’s Club where you can score Luvs Diapers Ginormous Boxes in ANY size for just $19.98 down from $31.48 PLUS FREE shipping – ONLINE only! Leaks? Not a chance. Luvs’ Ultra Diapers will hold up to your wiggly one’s adventures—locking away wetness (even overnight) and keeping tender skin dry. 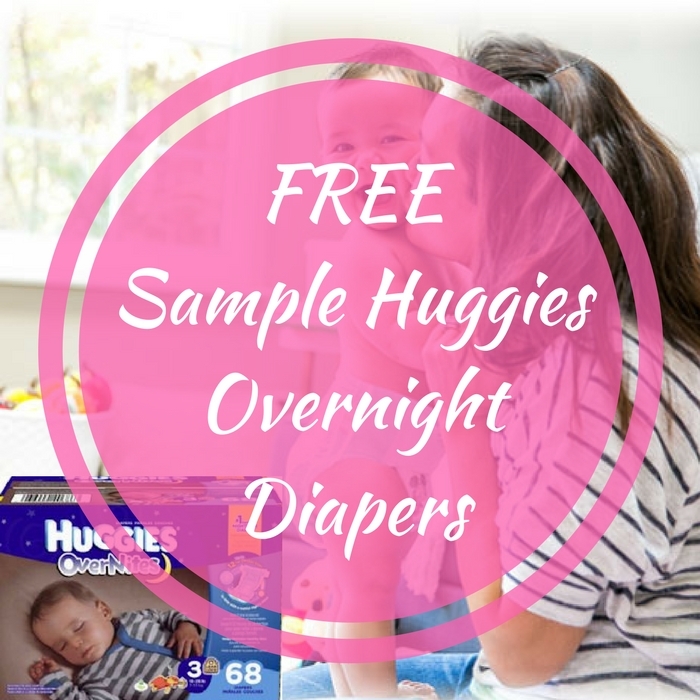 FREE Sample Huggies Overnight Diapers! FREEbie Alert! While supplies last, hurry and get a FREE Sample of Huggies Overnight Diapers by just simply filling out this form and choose from size 3 or size 4 samples! Please allow 4 weeks for delivery!